The University of Roehampton is located in South-West London on a beautiful 54 acres parkland campus, 30 minutes from the city centre. It offers its students a traditional campus experience in London. 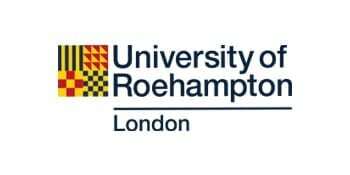 Roehampton is ranked as the top modern university in London according to the Complete University Guide 2018. It offers a broad choice of undergraduate programmes across ten academic departments, including Education, Business, Media and Languages, Social Sciences, Humanities, English and Creative Writing, Drama, Dance, Psychology and Life Sciences. Roehampton offers its students inspiring, personalised teaching in small classes and exposure to the best modern research in London. In the latest REF assessment, Roehampton was confirmed as No 1 new university in London for the quality of research and the best new university in the UK for ‘Research Intensity’. Roehampton is a modern university with a long history. Students benefit from its reach heritage in education that stretches back 175 years. This, together with modern teaching facilities, state of the art new Library opened in 2017, high-quality accommodation and social hubs, as well as sporting and leisure facilities, provides a supportive community in which to thrive. Roehampton’s undergraduate and postgraduate courses help graduates expand their career prospects in the full spectrum of dance careers. Our graduates work across the industry in community dance, dance therapy, teaching, arts management, research, choreography and performance. And because of the strength of our courses, graduates also have wider skills they can apply in many sectors. We want to help as many students as possible enjoy the opportunities at Roehampton. That’s why, every year, we offer scholarships to talented undergraduates and postgraduates. The University has an excellent study, support and social facilities. As a research student, your Academic Department will appoint at least two suitably qualified and experienced members of staff to supervise your research and advise you on appropriate reading, research methods courses and other relevant information.